A beautiful dried table centre including dried fruits, berries, cones, twigs, four night lights in the centre. A small nutcracker figure. 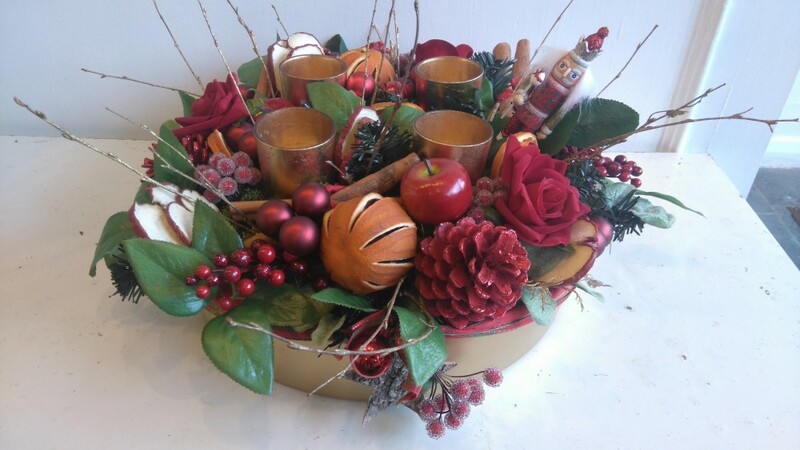 This table centre will bring a warm glow to suit any room. Limited stock available.